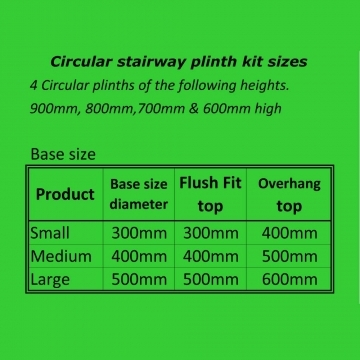 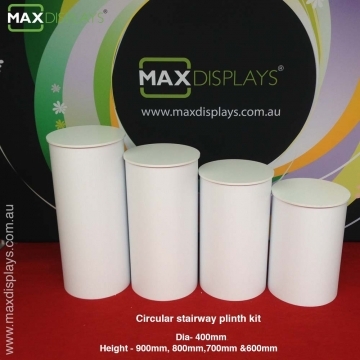 ﻿The Circular stairway display kit is combination of 4 circular plinth displayed at various heights making it a stylish display. 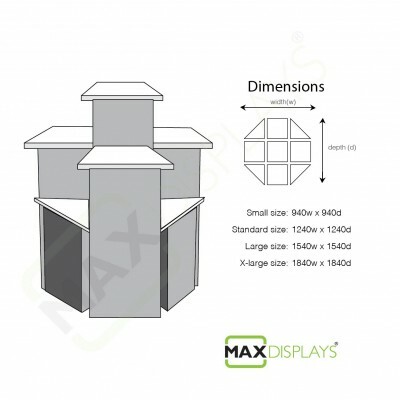 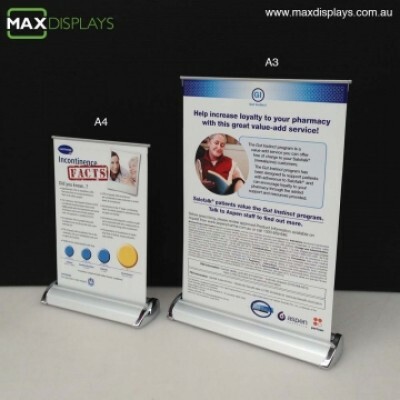 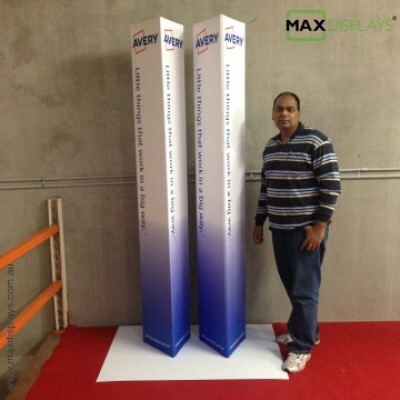 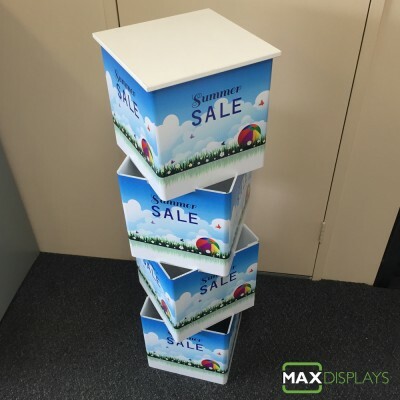 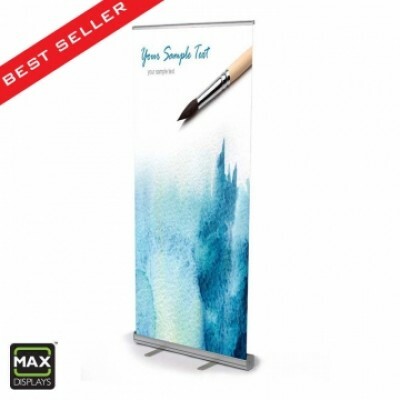 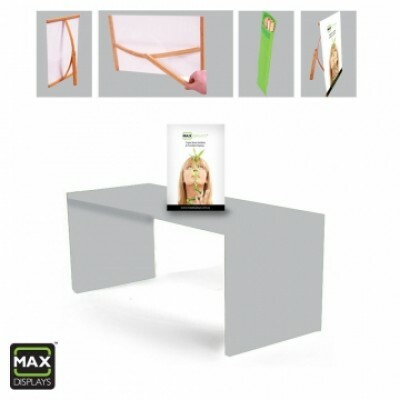 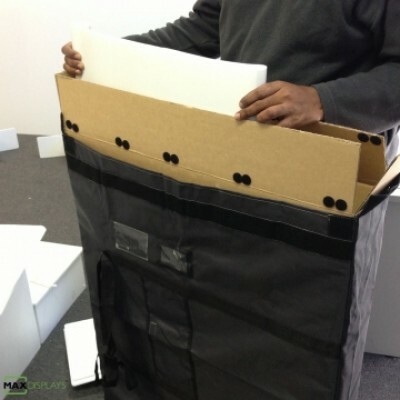 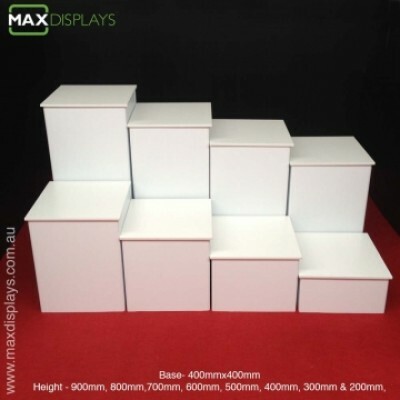 It can be used as island display or walk around display in a showroom or walk-by display in trade-shows or against a wall or even in a corner. 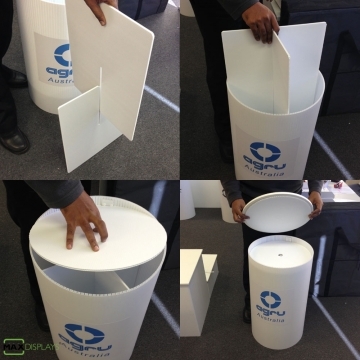 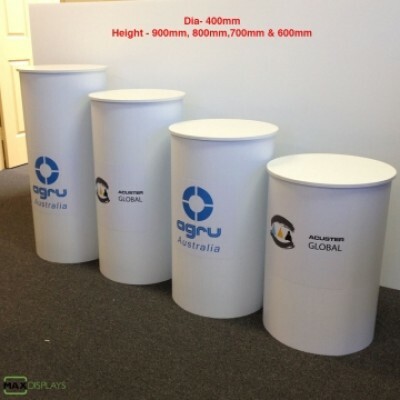 The circular plinths are made as standard white, you can have them covered printed colour sock to your requested colour. 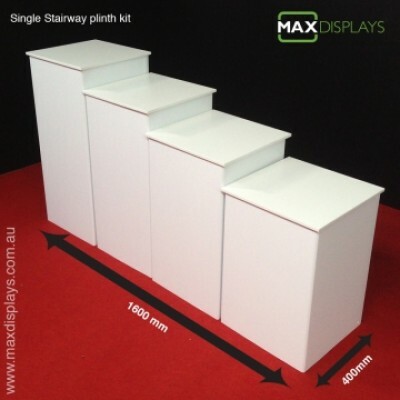 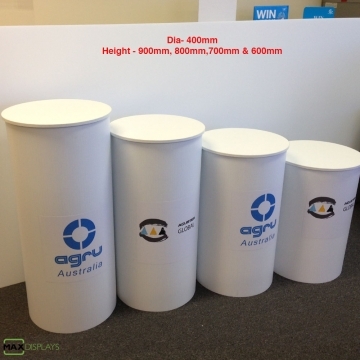 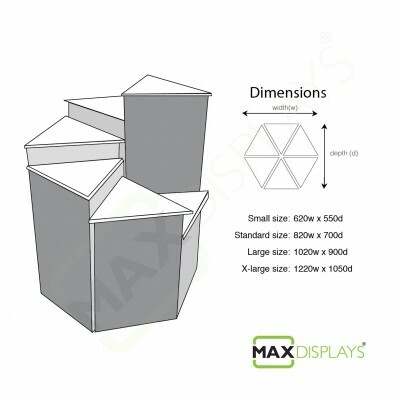 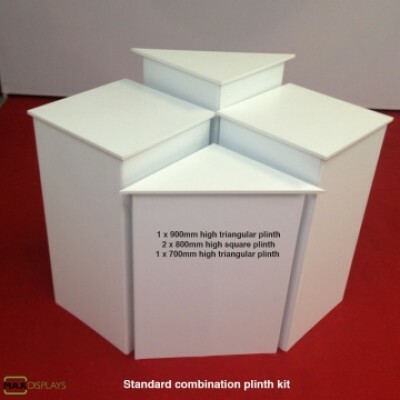 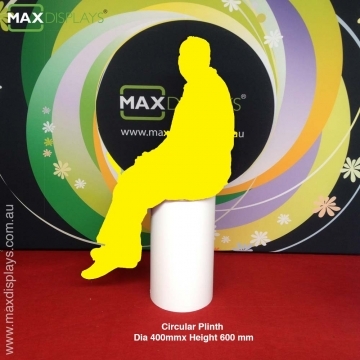 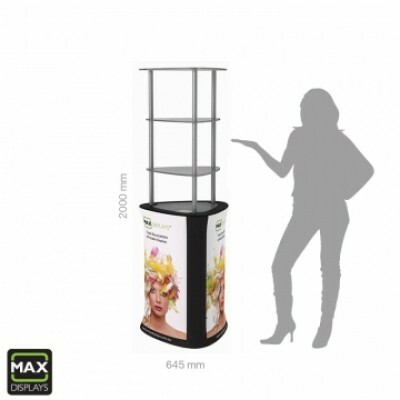 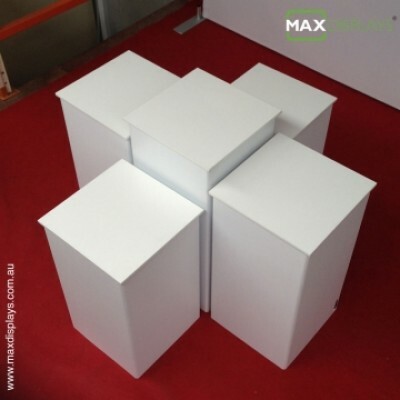 Height : 4 circular plinths of height 900mm, 800mm, 700mm, & 600mm high. 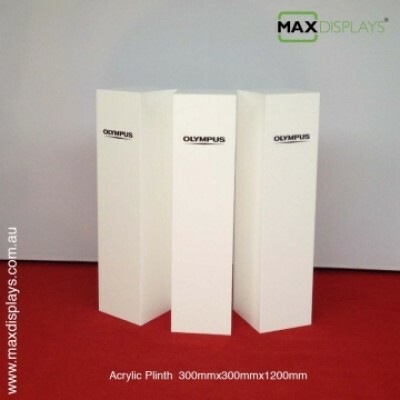 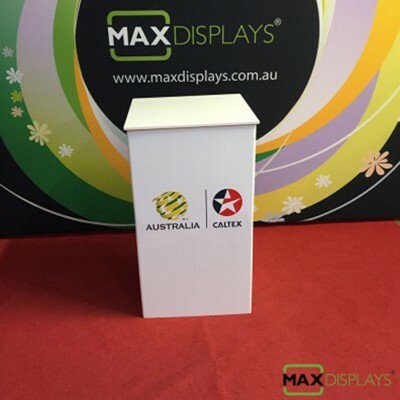 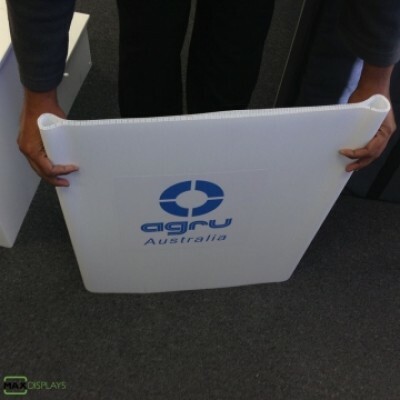 Add your own branding to the plinths or even make them to your own colour. We can do variety of branding on them. 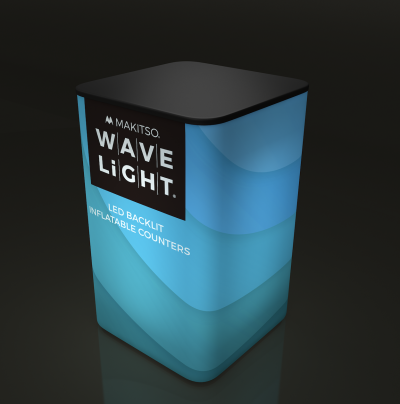 They can be just logos or full fabric removable printed sock. 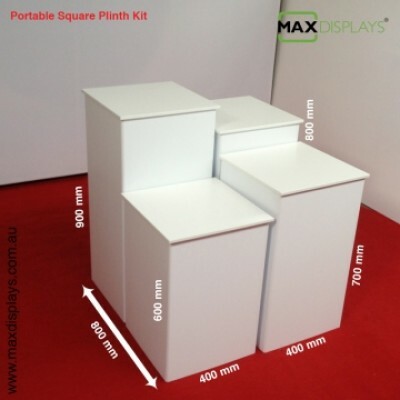 The sock clings to the base of the plinth and it takes just seconds to change them. 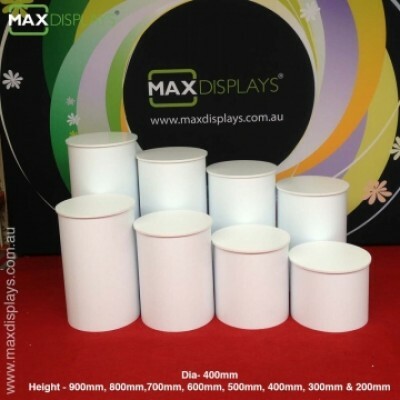 The sock is a dye sublimated fabric print which gives the flexibility of washing them if it gets dirty or dusty.